For most of us blessed with sight, living with blindness is incomprehensible. Sure, you can shut your eyes for a moment — you can even blindfold yourself for a week — but you still wouldn’t come close to the actual thing. Just as incomprehensible as the waking life of the blind is the sleeping one. We unconsciously associate dreams with visuals and take this for granted. But what’s it like for the blind to dream, absent sight? Our dreams are a sort of rehash of the reality we perceive, which is why most dreams are boring renditions of what recently happened or could have happened with various tweaks. So, naturally, a blind person’s dream will be experienced similarly to his reality, meaning people who are born blind relive or imagine things without imagery. Those who went blind later in life will experience sight in their dreams, but the longer they lived blind the less common visual experiences will be. Here are a few personal impressions about how the blind dream, gathered from Reddit. “My boyfriend is blind since birth, this is a question we get quite a lot! He dreams in sound, smell and touch, but not taste. I asked him to lick something in his dream but he hasn’t yet (men, amiright ladies?). He has vivid nightmares, he dreams about being made to drive a taxi but he’s still blind so he just crashes again and again. He never dreams he can see, because he has never seen,” according to reddit user thebatteryhuman. “When I’m dreaming I see but it’s not ‘seeing’ as I imagine normal people see. It’s the description of echolocation that first made me realize what my dreams look like. Images come in short waves like a bat would see. I hear in my dreams and the sounds echo back at me forming an image of the objects around me. Sometimes I like to think I’m a dream world Daredevil :). But honestly it’s nothing like actually seeing what’s in front of you. Like when I’m walking around my house I can’t see what’s in front of me but do hear changes in sound that clue me in on objects I’m near. I heard that there is a guy who’s been blind from birth and he learned to use echolocation. Watch Stan Lee’s Superhumans. It was on the show. But it gave me idea to try learning how to do it. I can do it in my house if it’s quiet but there are too many sounds outside that are distracting,” wrote reddit user hydropwniks. Also, someone shared what’s it like for a deaf person to dream, just so you get an idea of how the dream state and waking state are impacted by the stimuli available to us. “My dreams are moving pictures. There is no sound really, at least I can’t remember dreams with sound. Nightmares do contain screams though. But my dreams express themselves through intense emotions – fear, love, hate, anger, etc. I experience lucid dream quite a lot because of the emotions. It can be draining. And no, there’s no subtitles or closed captioning,” wrote reddit user ampersandscene who is deaf since birth. Each morning, as soon as they woke up for four weeks straight, the participants had to complete a questionnaire about the content of their dreams. The blind participants used text-to-speech software. Some of the questions queried sensory impressions (Did you see anything? If so, was it in color? Did you taste? Smell? Feel pain? ), some delved into the emotional nature of the dreams (Were you angry? Sad? Afraid? ), while other questions were meant to assess the thematic content (Did you interact with someone? Did you fail at something? Was it realistic, or bizarre?). All non-blind participants reported a visual experience in at least one dream. However, none of the participants who were blind from birth reported any visual. Those whose blindness occurred later in life reported seeing in dreams, but the longer they had lived without sight, the fewer visuals they could experience. Just because they can’t see in their dreams, it doesn’t mean the blind’s dreams are less rich in sensory information and emotions. About 18 percent of both congenital and later-onset blind participants reported tasting in dreams, compared to only 7 percent of controls. Smelling in dreams was a common occurrence for 30 percent of the blind participants, compared to 15 percent of controls. Also, 70 percent of the blind reported touch sensations in at least one dream, compared to 45 percent of the control. Perhaps the most common dream stimulus is hearing, which 86 percent of the blind participants reported compared to 64 percent of controls. 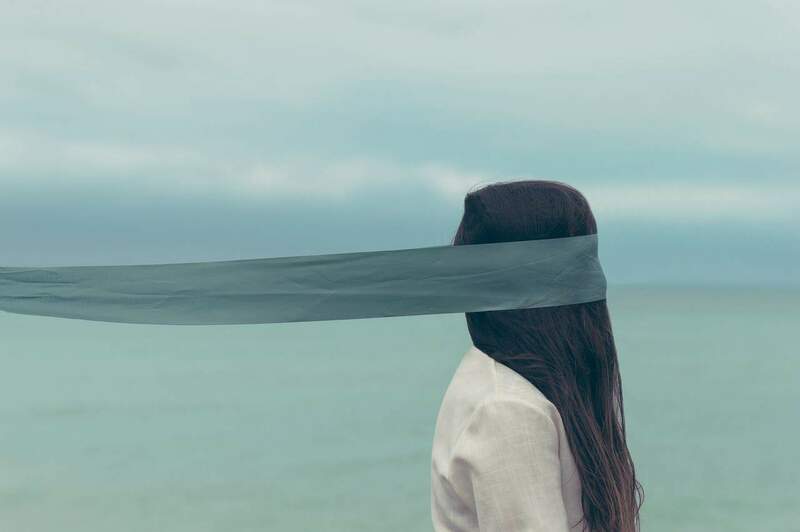 Those who were congenitally blind reported even more drastic differences: 26 percent tasted, 40 percent smelled, 67 percent touched and 93 percent heard in at least one dream. Despite the sensual differences, the emotional experiences were very similar between the blind and non-blind. All groups reported about the same number of social interactions, successes, and failures in their dreams. There was about the same distribution of reported emotions. One woman often had nightmares about being run over by a car or getting into embarrassing social situations such as spilling a cup of coffee. One notable exception stood out, however — the congenitally blind experienced nightmares 25 percent of the time, compared to only 7 percent of the later-onset blind group and 6 percent of controls. The results held even after the researchers controlled for sleep quality, which is poorer among the blind. The Danish researchers don’t know for sure why this happens, but they have some hunches based on the theory of why nightmares happen in the first place. “The study confirms an already existing hypothesis that people’s nightmares are associated with emotions they experience while awake. And blind people apparently experience more threatening or dangerous situations during the day than people with normal sight,” says study lead author Amani Meaidi, a research assistant at the Danish Centre for Sleep Medicine at Glostrup Hospital and BrainLab at the University of Copenhagen. Indeed, the most common nightmares the blind reported involve things like getting lost, being hit by a car, falling into manholes, or losing their guide dog — all very threatening situations in real life, and seeing how the blind are more vulnerable to them, their minds might be jacking up simulations for their own good. Interestingly, it came as a surprise for the blind participants that they have more nightmares than those who can see. The bottom line is that most blind people can not see in their dreams despite the fact that it could have been comforting for many. Their dreams are still rich with sensual and emotional experience — not that different from those with sight, by all accounts.